Stereo version of the multichannel sound installation presented at the VKS gallery in Toulouse (France) in June 2005. « In June 2005, I created a sound installation for the VKS Galery in Toulouse. All the sounds used in this piece were recorded in the basement of my apartment building in Nantes: pipe sounds, electrical buzzes, neons, draughts, reverberation, air pipes, ventilating fans, etc. This piece was presented in the basement of the galery, a dark vaulted cellar at the bottom of steep narrow stairs. The sound was broadcast – very loud – on a multichannel sound system composed of four loudspeakers set in each corner and one subwoofer set in the centre of the room. It took a few minutes to get used to the darkness. My father left my mother that summer. My son Sol was born on the 16th Feb. 2006. The basement in my parents’ house was flooded during a big storm. Ten inches of water got the best of all the paintings and drawings from my late teens that I had kept stored there for years. Nothing was left but shapeless heaps of ashenlike material. Nothing was visible anymore, but I was able to save a few pieces set at the top. I stored it all in plastic waterproof boxes, except a few pieces I took back home with me. 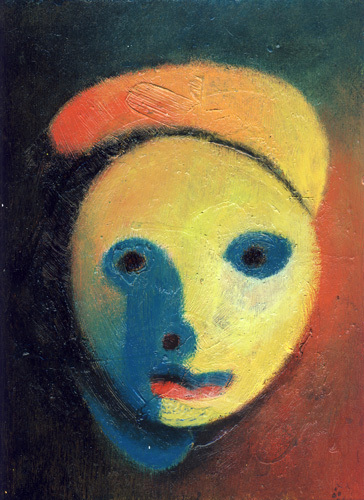 Some objects, drawings and a small painting of a face – untitled and undated (probably made around 1991). I didn’t like that painting back then and had left it unfinished. Now, it’s hanging in the corridor of my flat. 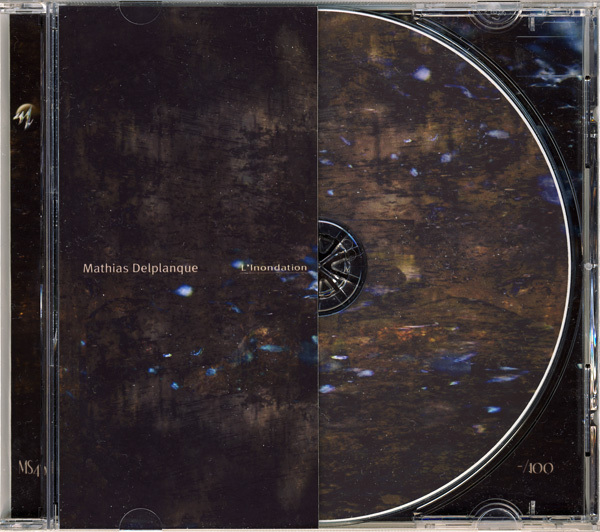 The material presented on this CD is a stereo version of the piece presented at the VKS Galery in June 2005 ».